Scam alert: The “can you hear me?” phone call. How it works: An automated robocaller asks, “Can you hear me?” If the intended victim responds “yes,” the scammer records the response and tries to use it as “proof” that the caller agreed to sign up for a high-cost product or service, such as a cruise or warranty, and to force the person to pay. 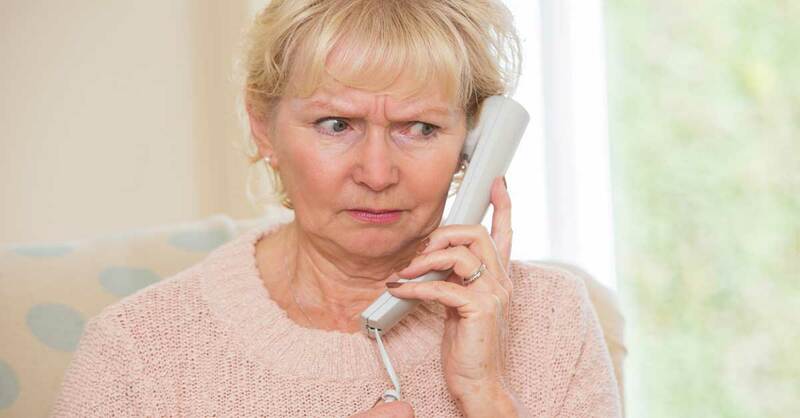 What to do: Hang up on all unsolicited robo calls without saying anything. Any response at all just lets the scammers know your phone line is active and they are more likely to call again. Hundreds of consumers around the country have reported these suspicious calls in recent months from automated “conversational agents,” also known as chatbots, who use a version of the famous advertising line from Verizon. In the past, the Better Business Bureau says, this type of scam has targeted small-business owners who get hit with unauthorized charges for office supplies, directory ads or Internet services. For example, a business owner would get a robocall asking to confirm his business address by responding, “yes.” Later, he receives an invoice in the mail for $599 for agreeing to purchase a “optimal search engine” service. When the business owner calls to complain and deny the charges, he’s played back a tape of his verbal agreement and threatened with legal action. If you do say yes to a chatbot, don’t panic. Even if you get a suspicious bill in the mail, a single-word voice agreement is almost certain not to hold up in civil court. Instead, the scammer is counting on intimidating or embarrassing you enough to get your credit card billing information. Report any of these calls to the Federal Trade Commission, which enforces laws regulating nuisance calls and interstate fraud over the telephone. Call 877-382-4357 or go to FTCComplaintAssistant.gov. And make sure you are signed up for the Federal Do Not Call Registry in order to avoid most sales and robocalls. DoNotCall.gov, 888-382-1222.